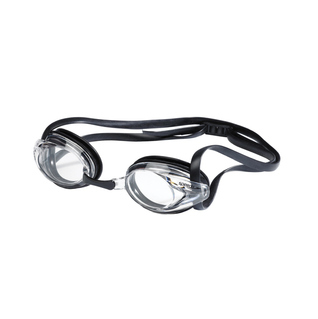 The Speedo Jr. Vanquisher Optical Swim Goggles are excellent for competitive and training purposes! She can see while swimming now! This option was great and not super pricey. Excellent!